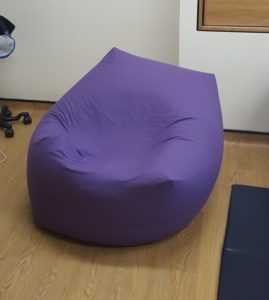 A beanbag is a useful item for an active birthing room. 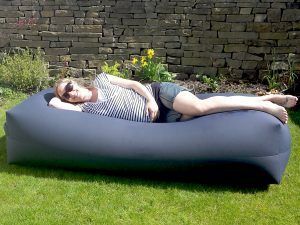 This cylindrical beanbag (90cm across and 60cm high) can be sat on, leant over, and mum can mould it into the shape she wants. 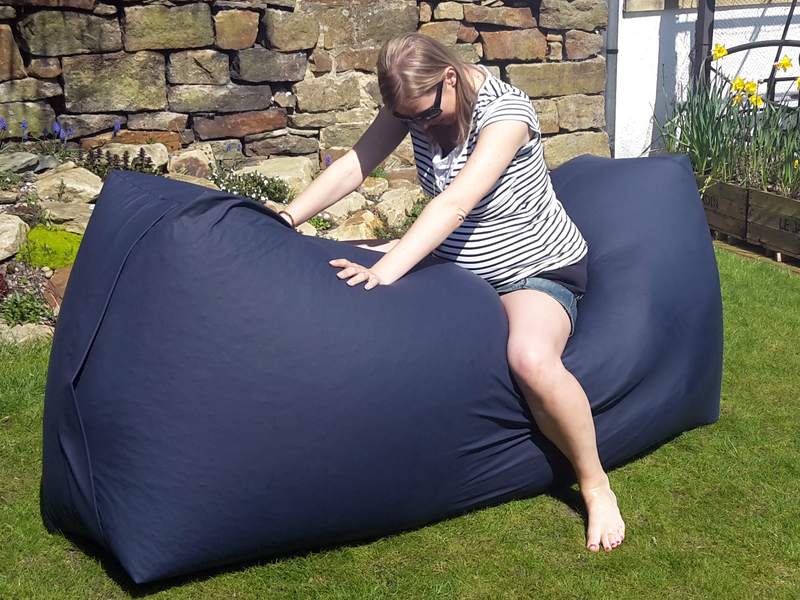 Made in the same pleasant, cleanable heather coloured PU material used on the birthing couch kit, these beanbags have a small zip to allow inspection of the interior. 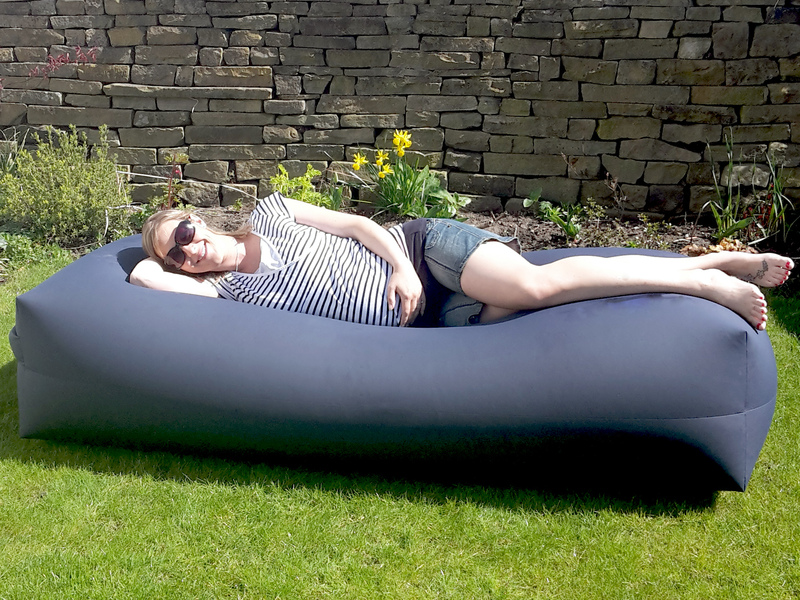 The beanbag is £375+£40 delivery +VAT. An additional, zipped outer cover is available in heather or navy PU for £110+VAT. The giant bean-bag birthing couch comprises and inner and an outer liner – a cream PU inner lining filled with beans, with a navy or heather coloured outer cover. The outer cover has zips on three sides (all covered with a hygiene flap). We do not use a mesh bag inner, but a double layer of PU for superior durability and hygiene. Sealed versions (i.e. no zips) are available. 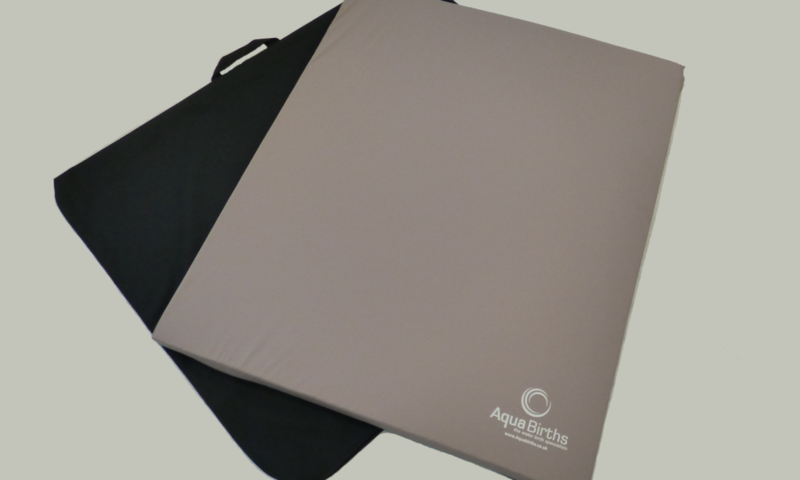 A cushion set is useful in helping the birthing mum to be comfortable in a range of positions. A set comprises a 600mm long bolster and a 500mm x 350mm pillow. These are bean-filled so they can mould and fit to the woman’s shape. They are heat-sealed for infection control. Please contact us if you would like zipped over-cover. Cushion sets are £95each. Bespoke cushions and bean bags – you choose the size, the shape, the colour, the number of layers, whether they are zipped or sealed and the filling! Please contact us. 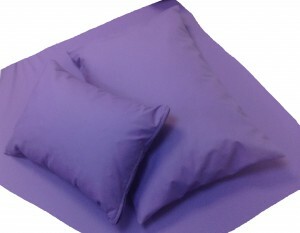 We also manufacture cushions and pillows, so get in touch if you have your own specification – 0345 230 1381 or contact us.